Beat the heat with this cool sale! Walk into our store at Kavade and grab the books on sale! All of April and May! *Sale offer only on Books. *Minimum purchase of Rs500 required to avail the discount. A native South American race game, Pima Sticks is played by 2 players. There are 4 sticks that determine the movement of the player. 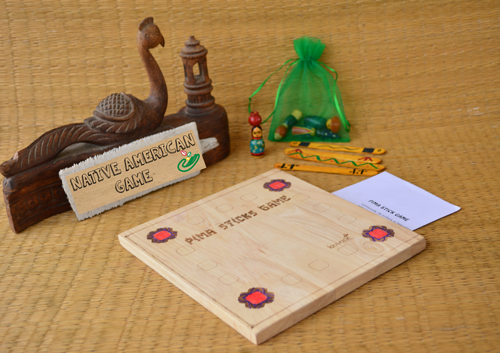 This set comes with a wooden game board, with 4 beautifully hand painted sticks and 4 pawns.